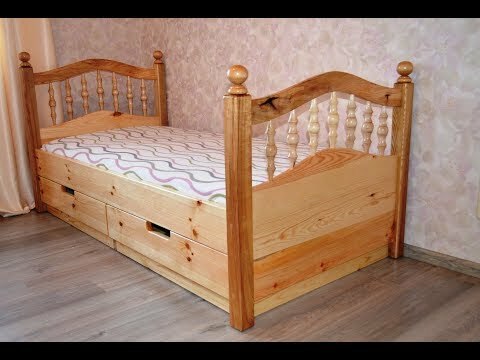 In this video I make a bed for my little daughter. She is only two years old and still sleeps in her little cot. She now has her own room in which I decided to put a full size bed (1900 by 900 mm). I used ash tree for posts and arches and the pine tree for sides. I like a combination of those type of wood. I hope in this bed she will see only the sweetest dreams.